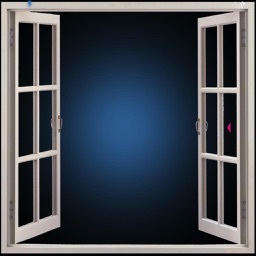 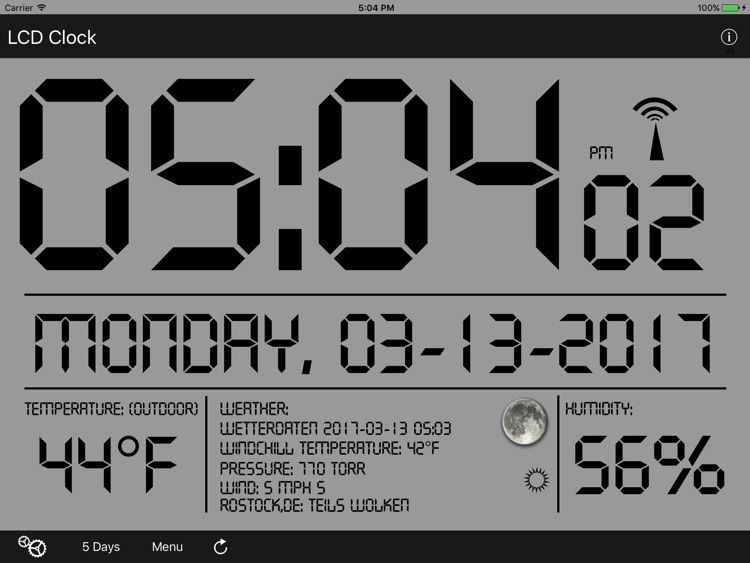 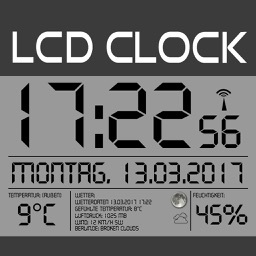 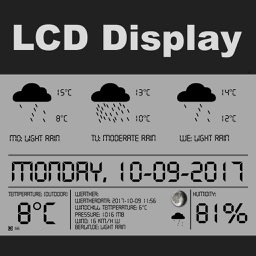 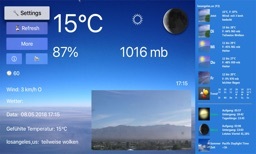 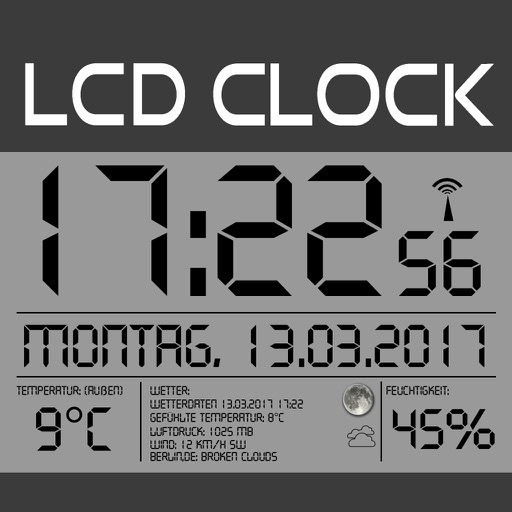 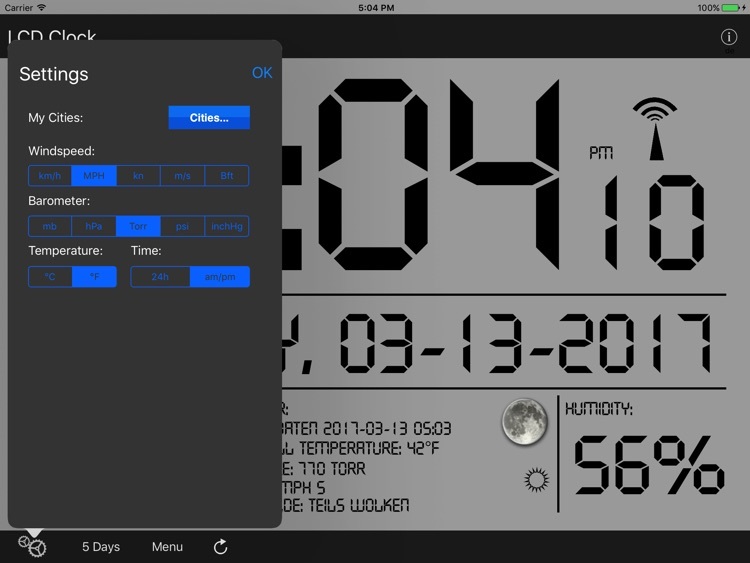 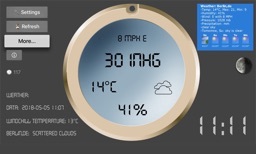 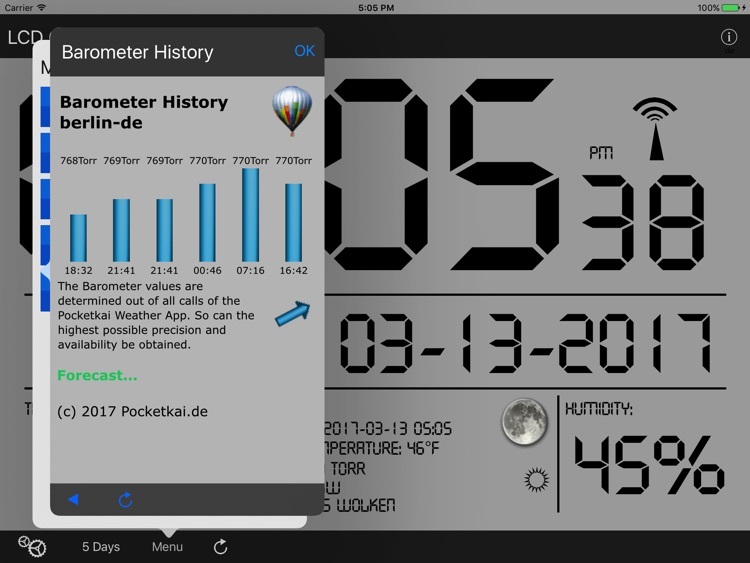 Use your iPad as real LCD Wall Clock + Weather station. 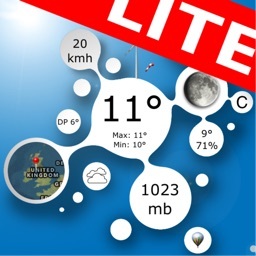 Big Time-, Date- and Temperature- display, windchill temperature, humidity, wind speed, wind direction, barometer, moonphases and more values can hardly be desired. 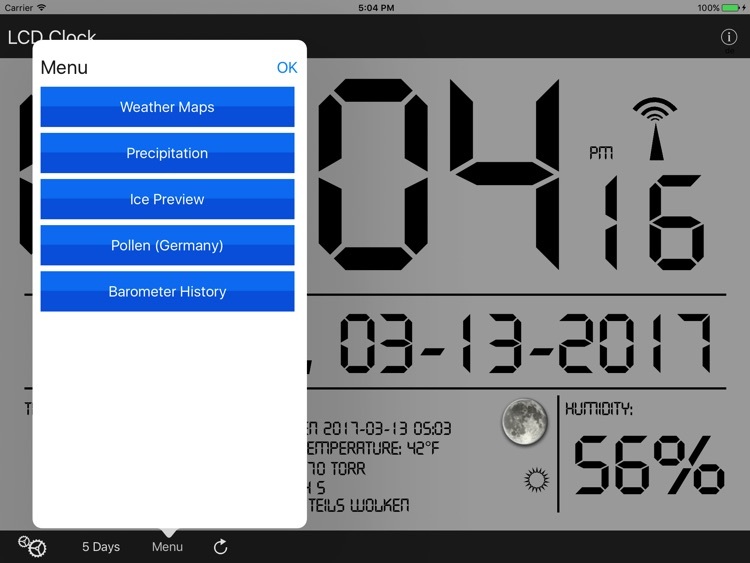 The program finds the next weather station with your entered cityname. 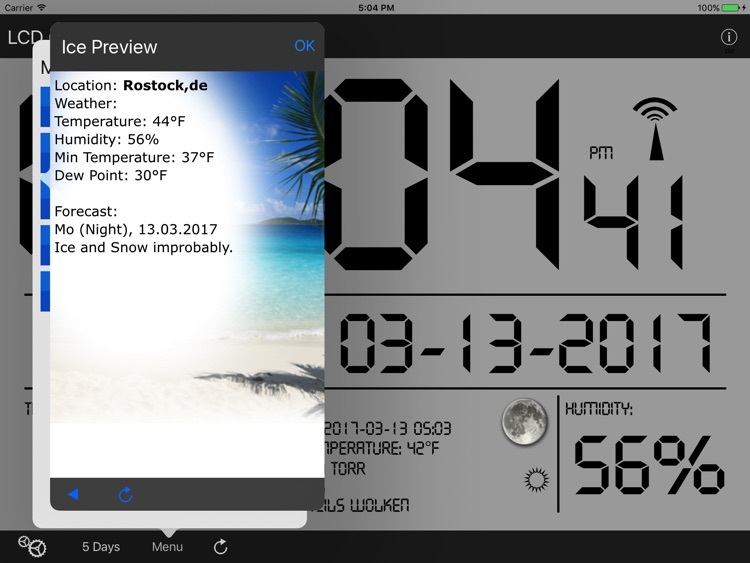 A 5-days weather forecast is built-in.